to Prime Minister Scott Morrison, more than 100 prominent journalists, including Kerry O'Brien, Peter Manny and Jonathan Holmes, signed the letter asking the government not to rush its decision. The ex-Fairfax CEO has been rumoured to be a candidate for the chair position after it was left vacant following Justin Milne's sudden departure. While it didn't name Hywood directly, the group asked the government not to appoint commercial media executives who previously lobbied to restrict its online activities. 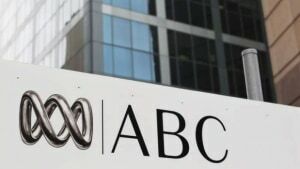 “The federal government must not rush to appoint a new ABC chair, especially one who has displayed bias against the national broadcaster’s comprehensive role in Australian society,” the letter read. Hywood has previously attacked the ABC for promoting its content on Google using taxpayers' money. He claimed it was competing with commercial publishers, such as the defunct Fairfax, in an already high-pressure environment for newspapers. Despite the accusations, a recent review found ABC and SBS are not competing unfairly with commercial rivals. In November, the ABC Alumni released a statement saying Hywood would be “quite unsuitable”, claiming he has publicly lobbied to weaken the ABC. The open letter also said the current selection process needs to be reformed to end political interference and that the Prime Minister shouldn't make a “captain’s pick” for chair. “The threshold public interest test must be whether a candidate has a strong track record of support for the ABC and the concept of public media generally,” it stated. Former ABC staff have urged the government not to appoint a “biased ABC chair”, such as ex-Fairfax boss Greg Hywood. In an open letter to Prime Minister Scott Morrison, more than 100 prominent journalists, including Kerry O'Brien, Peter Manny and Jonathan Holmes, signed the letter asking the government not to rush its decision.